On 06-07-2012 at about 11:20 pm, Officers of the Eureka Police Department responded to a reported burglary in progress at Wells Fargo Bank (605 G Street) in Eureka. Officers were advised that motion alarms had been activated inside the business. Upon officers arrival at about 11:22 hours, a perimeter was set around the building. A shattered glass door was quickly located on the east side of the business. A Eureka Police Department K-9 was deployed and the building was searched, however no suspect was located. A review of the security footage by the security monitoring company revealed that the suspect had exited the business moments before officers arrived. Through the investigation of the incident, Officers developed a suspect in the case. The suspect, John Edward O’Neill (24 years old of Eureka), was soon located at the 1300 block of 5th Street at about 3:30 am on 6-8-2012. Evidence consistent with the burglary was located and O’Neill was taken into custody. 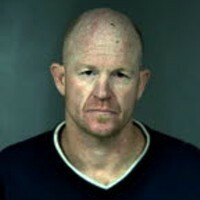 O’Neill was booked into the Humboldt County Correctional Facility on a charge of burglary. He is being held on $50,000 bail.